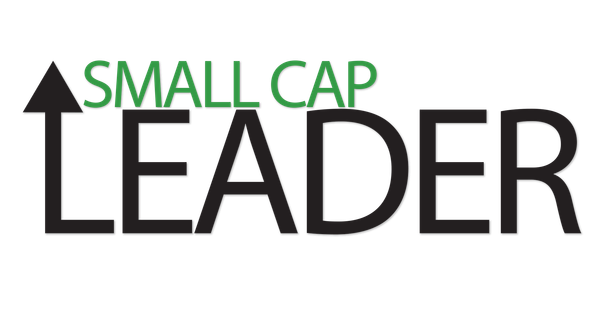 Our alert from this morning,​ MTST, opened today at our alert price of $0.29 and rallied to a high of $0.35 for gains of over 20%!! Congrats to those who took advantage of the big gain opportunity today! If you watched today's trading session then you surely noticed that this stock has the potential to make big moves very quickly and not many sellers. After hitting a high of $0.35 today, MTST settled back down to just below our alert price before rallying again back to $0.32 for even more gain opportunity. Did you miss out on gains today? It is not too late to capitalize as tomorrow could be another huge day for MTST. Closing today just below our alert price, MTST could offer even bigger gains tomorrow now that more eyes and ears are on this company. Our last OTC alert gained over 72% and is still trading above our alert price over a month later! We are very selective especially with OTC companies and search extensively to minimize downside. Get ready for MTST tomorrow and watch it very closely for breakout potential. Below is our full profile on MTST. We suggest reading it again if you did not get the chance to fully read our profile this morning. MetaStat, Inc.(MTST) is our new biotech alert. MTST is currently trading on the OTC, but might not be for long as they have already taken steps towards uplisting to a big board exchange. Douglas Hamilton, President and CEO of MetaStat(MTST), said "With the approval of the reverse stock split and amendment to the Securities and Incentive Plan by the board and shareholders, MetaStat has taken the significant steps to the further strengthen and grow the company. Uplisting to a national securities exchange will enhance MetaStat's visibility and remove investment restrictions to allow for greater liquidity and a broader institutional and retail investor base. We believe the amendment to our Securities and Incentive Plan will allow us to recruit and retain the best talent to help build the company as we commence our commercialization strategy." MTST also had several insider buying transactions last month which is rare in most OTC companies. The majority of this buying was from the President and CEO, Douglas Hamilton. These insider transactions were purchased at an average price right around $.27 per share, only 7% below the current share price. The President and CEO of a company usually has great knowledge and expertise and we take this insider buying as a very bullish signal. MTST had big news last week as they announced positive results of a MenaCalc™ Prognostic Study of Axillary Node-Negative Breast Cancer. Data from this study confirmed earlier results that MenaCalc™ is a strong predictor of disease-specific overall survival in patients with node-negative invasive breast cancer. These findings also reinforce the value of MenaCalc™ as a prognostic marker for survival in an independent patient cohort and ANN patient population. MTST has been given a $0.75/share price target and a Buy recommendation by Zacks Small Cap Research. This price target is over 150% higher than the current share price. MTST was also given a $1.23 12-month price target by SeeThruEquity, a leading independent equity research and corporate access firm. Below is a recap of why we like MTST. Taking steps to uplist to a big board exchange and have already approved the reverse split to do so. Several insider buying transactions last month by the President and CEO just below the current share price. Recent news that their flagship breast cancer product increased survivability of the test group by over 2.2-fold in the recent study. Multiple research sources have labeled it a buy with a price target that is more than 150% higher than the current price. The chart is sitting at a nice support level and looks like a bounce is near. MetaStat(MTST) focuses on understanding and treating systemic metastasis. MTST develops and commercializes best-in-class diagnostic tests for early and reliable prediction and treatment of systemic metastasis, the process by which cancer spreads from a primary tumor through the bloodstream to other areas of the body. MTST is focused on breast, prostate, lung, and colorectal cancers, where systemic metastasis is responsible for approximately 90% of all deaths. Both the MetaSite Breast™ and MenaCalc™ assays are designed to accurately stratify patients based on their individual risk of metastasis and to provide physicians and patients with clinically actionable information to better "customize" cancer treatment. Put MTST high on your radar for big gain potential.